Graduating from the University of Newcastle with a Bachelor of Exercise and Sport Science in 2010, Sam Larkings then went on to complete his Master’s Degree in Exercise Physiology (Rehabilitation) at Charles Sturt University in 2013. 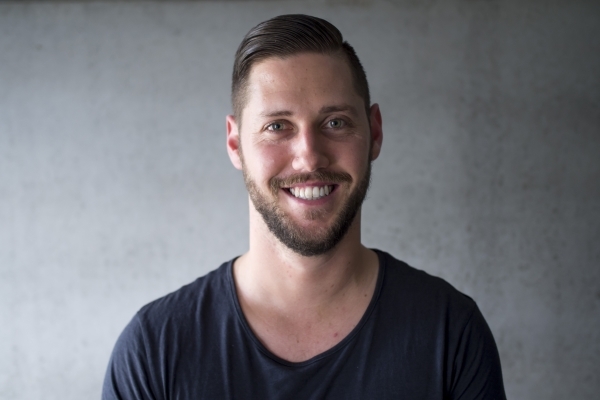 As an Accredited Exercise Physiologist, Sam has a wide array of experience including several years as the lead exercise physiologist at Humanomics, conducting occupational rehabilitation and exercise intervention in chronic disease management for a range of clinical patients. Additionally, he has operated out of Verve for Life in Warners Bay as a small group fitness trainer, CrossFit coach, olympic weightlifting coach and holistic lifestyle coach for over 5 years. This unique combination has helped Sam become extremely effective at helping a diverse range of clients and patients achieve their health and wellness goals. On top of his experience in the health and wellness sector, Sam is an elite NSWIS and Paralympic athlete and assists the Paralympic Football Team with strength and conditioning programming year round. He has been selected for the honour of captaining his country on many occasions, leading the team on multiple international tournaments including World Championships. This has enabled him to refine his skills both professionally and as an inspirational leader. His passion for training and competing at the highest level has led him to become an olympic weightlifting athlete out of Hunter Barbell Club. Sam’s experience, lifestyle and beliefs align strongly with those of the ATLETA brand; that is, providing highest standard of warm, fun, expert and holistic services to clinical patients, athletes and general population clients.He will take your health, fitness and performance to the next level!